This South window and other memorials in the building were photographed shortly before the original church was demolished in 1993. 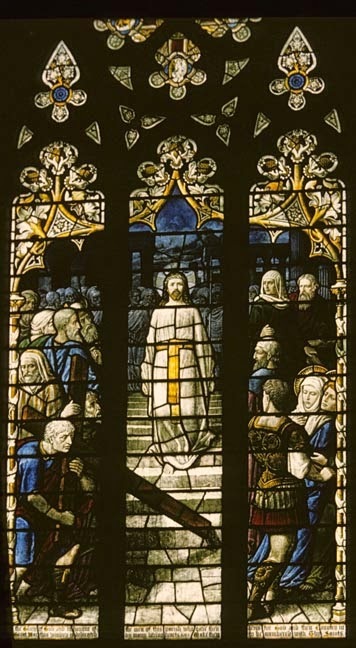 To the Glory of God and in honour of / the men of this parish who gave their / lives for God and their Country in / the Great War this window is dedicated / by many loving hearts 1919 Make them / to be numbered with Thy Saints. There are no individual names on this window, there does appear to have been a wooden plaque with names listed. We currently only have a photograph of the central portion.